Discover Thimpu includes a short visit to Thimphu the capital city of Bhutan perhaps which is the only city without traffic light. The highlights of this tour include exploring of beautiful Paro valley a rich culture, scenic beauty and hundreds of myths and legends, short hiking tour to Taksang Monastery (Tiger’s nest). It is home to many of Bhutan’s oldest temples and monasteries. Bhutan nestled in the heart of the great Himalayas, Bhutan saunters towards modernization, while fiercely protecting its ancient culture and it’s deeply Buddhist way of life. 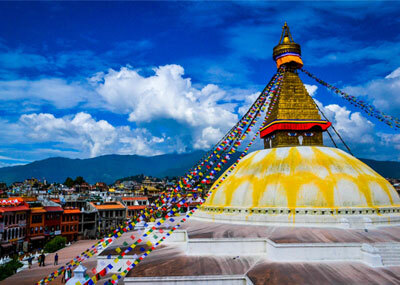 This package tour offers your precious holiday exploring through exceptional cultural heritages in Kathmandu, Nepal discovering through antique cities, aged old temples and elegant palaces before and after Bhutan tour. Day 05: Thimpu – Paro. Day 06: Paro – Kathmandu. Day 07: Kathmandu – Sightseeing. Tips (guide, driver, other staffs), etc. - Explore myths & legend Cities.